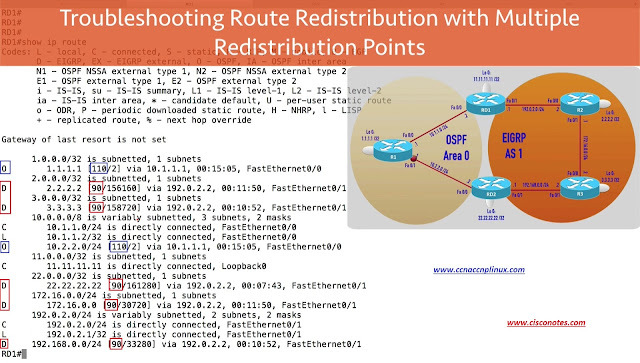 If we were designing a network ourselves, we might look at that Redistribution Point and think that’s the potential single Point of failure instead we might want to have 2 or more Routers that are Redistributing between the different Autonomous Systems, different Routing Domains we can certainly do that but in some cases, that might introduce a bit of Troubleshooting issue for example, let say that Router2 on Picture. Ø Depending on how many Domains you have? 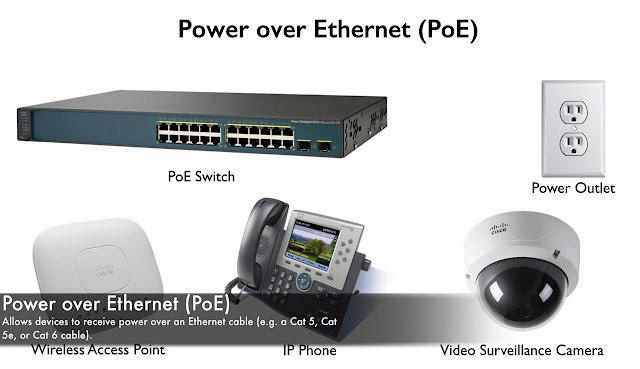 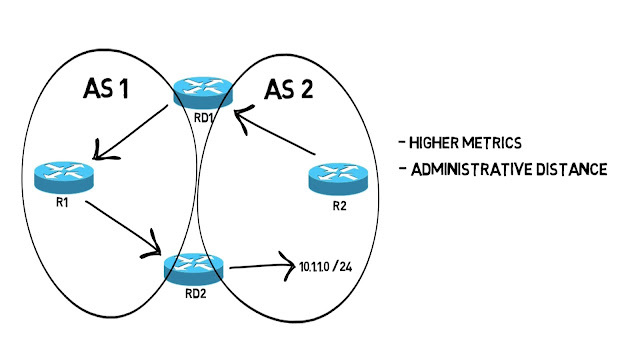 Ø How many boundary Routers you have? Ø What specific Routing Protocols you using? 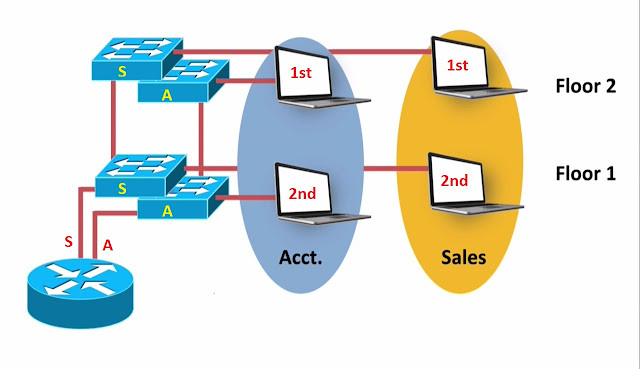 Ø How things are configured? 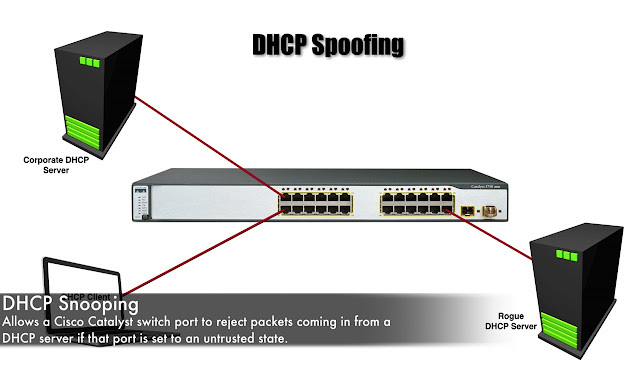 In this topic, we want to talk mostly in theory about how we would Troubleshoot an issue like this. Remember that , RIP has a default Administrative Distance of 120, OSPF has a default Administrative Distance of 110 and EIGRP has default Administrative Distance of 90 except for (external Routes that get injected into EIGRP those have an Administrative Distance of 170) infect since, EIGRP does distinguish between externally learned Routes and Routes leaned within the Autonomous System and it gives a higher Administrative Distance to those externally learned Routes EIGRP by itself does a great job for preventing a situation like this from happing but depending on what Routing Protocol you using and how things configured, you might in some cases need to statically configured the Administrative Distance for Routing Protocol so let’s Hope out to interface and take a look at how easy is to set the Administrative Distance for Routing Protocol. 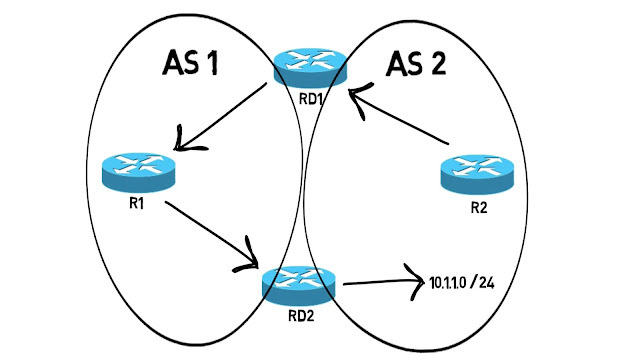 Look at this my OSPF Routes now have a more believable Administrative Distance then EIGRP, it’s now AD of 80 and you can see that we don’t have any EIGRP learned Routes in the IP Routing Table now because i have learned all of them via OSPF. 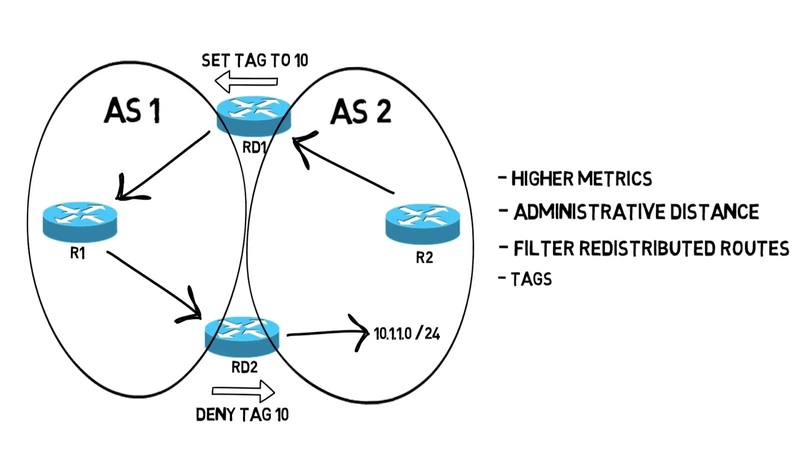 Another fairly clever way to overcome this Routing Loop issue is to “Tag a Route” as its being Redistributed from one Routing Domain into another and when we talk about Tags, please realize we can use this for lots of different reason not just for Redistribution but what is a Tag? It’s a value that we can assign to a Route and Tag isn’t a really measuring anything it’s not a specific unit of measure for bandwidth or delay or anything like that it’s just a Label that we put on a Route let’s checkout an example, what we can do with Tags. 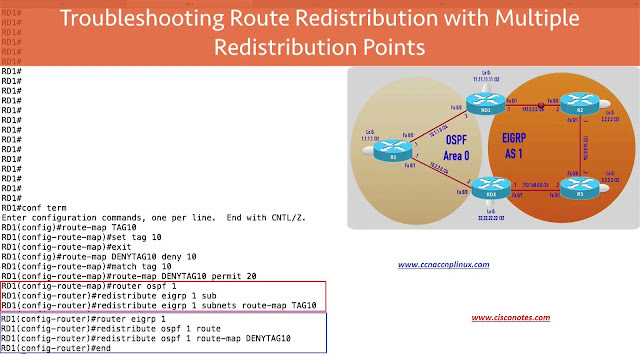 What we could is say that, we want to assign a Tag of 10 to Routes being Redistributed into Autonomous System 1 on picture. 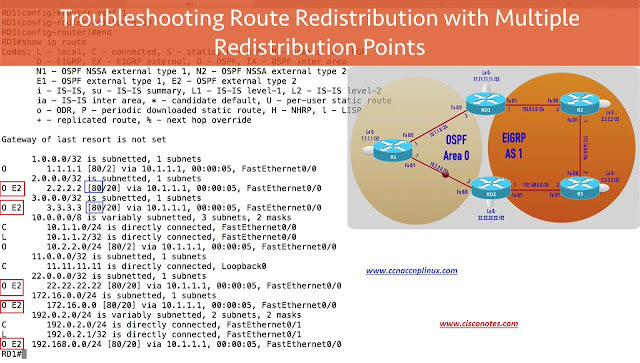 And i have just drown for Router RD1 but we would do the same thing for router RD2 but in addition to setting the Tag to 10 for Routes going into Autonomous System 1. 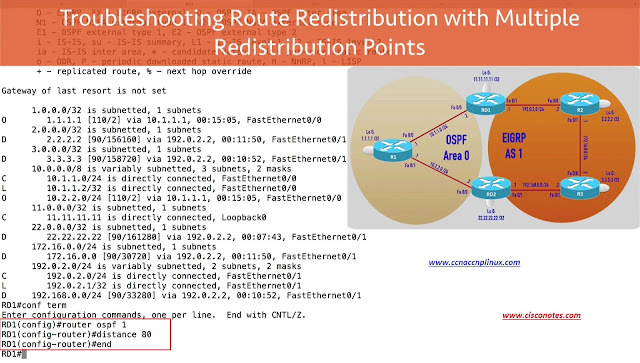 What if we did this also, what if we said that we going to deny any Routes from being Redistributed that had a Tag of 10 in the example of picture. 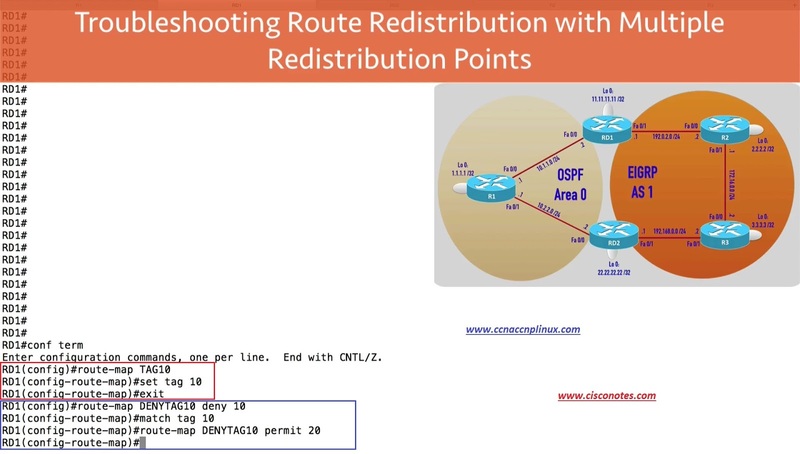 We got a Route going from Autonomous System 2 into Autonomous System 1 but as that Route gets Redistributed it’s given a Tag of 10 and RD1 in the example, is assigning that Tag if that’s same Route were to then try to comeback into Autonomous System 2 via RD2 that’s not going to be allowed because RD2 is gonna have a Route-Map that says we are not going to allow the Redistribution of any Route that has a Tag of 10 going into Autonomous System 2. 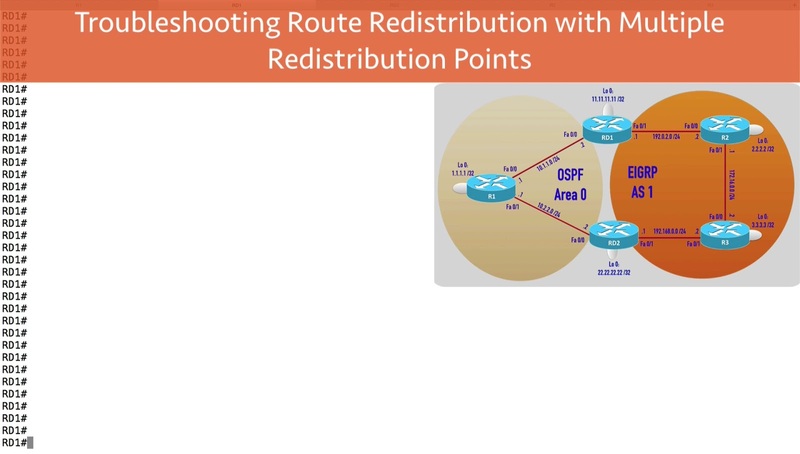 Now need to match anything because the default is going to match everything now the we got those Route-Map created, let’s apply them to our Routing Process. 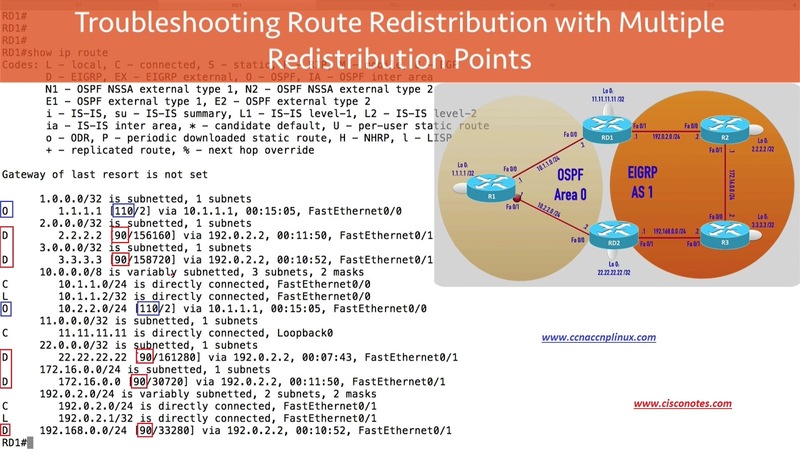 I am assigning Tag of 10 to Routes being Redistributed into OSPF from EIGRP, now let’s apply the other Route-Map to the EIGRP Routing Process. 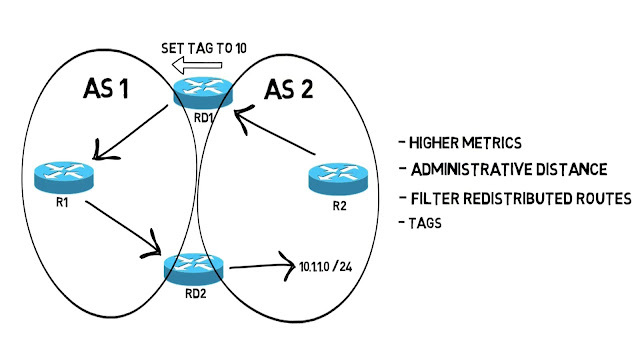 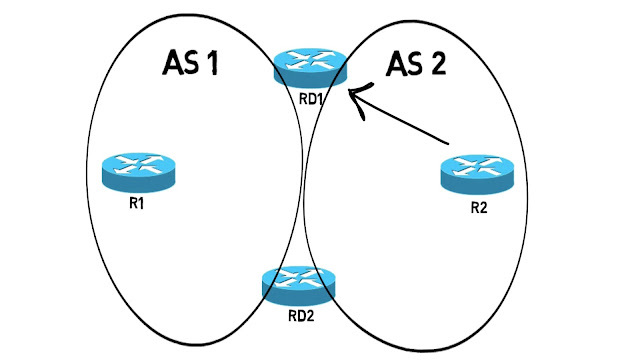 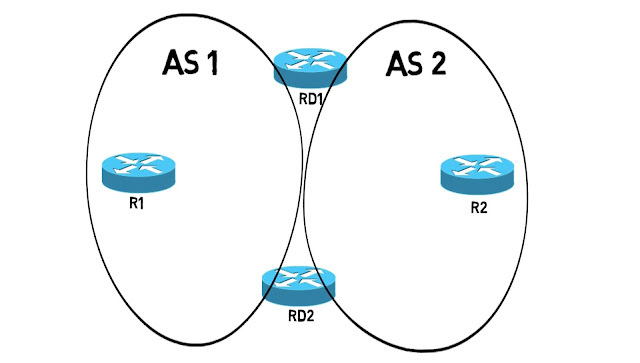 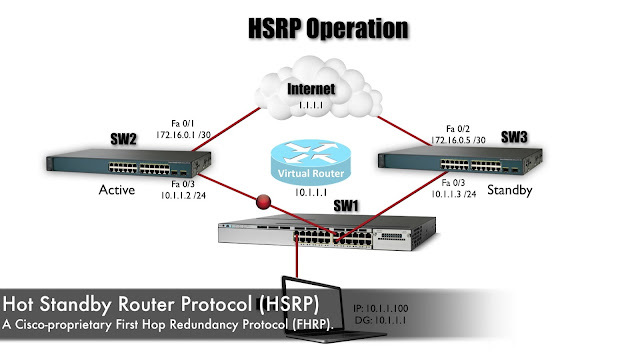 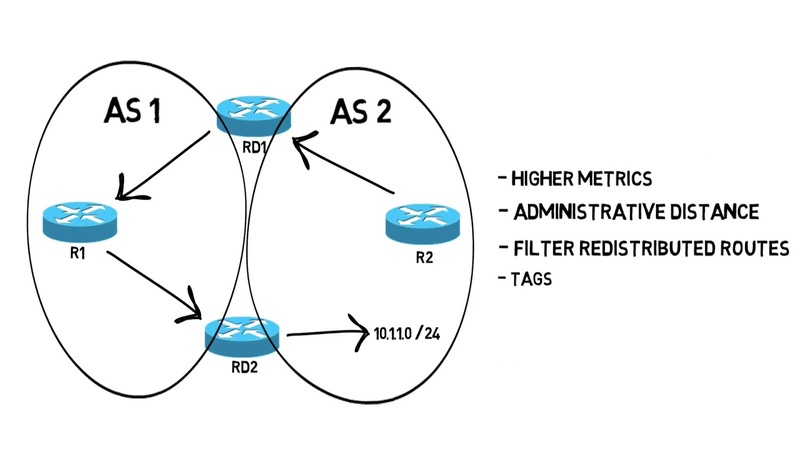 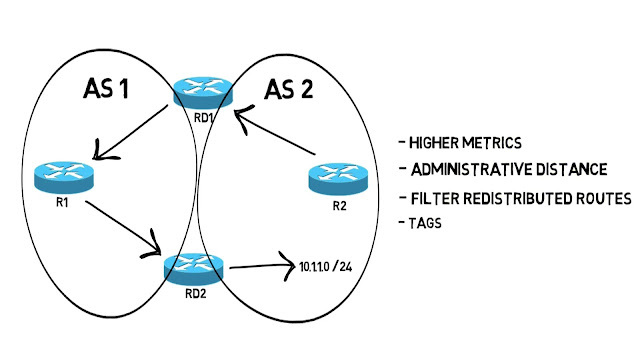 I am saying if i am Redistributed into EIGRP from OSPF, i am going to deny any Routes that have a Tag of 10 and in this example, i did this two one of my Redistribution point RD1, to complete the Configuration i would need to do the same thing on Router RD2 which is my other Redistribution Point. That’s the look at a few different ways that we can Troubleshoot a Routing Loop that might occurred when where doing Mutual Route Redistribution between a couple of different Routing Domains and we have more than 1 Redistribution Point.